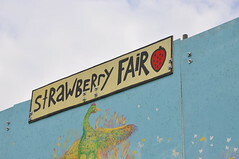 Every year since 1974 (with the exception of last year, apparently) Strawberry Fair has been on in Cambridge. 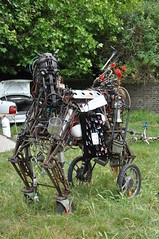 It’s is a free volunteer run community music, entertainments, arts and crafts fair. In other words, a hippy-fest. For a free event just up the road, we thought we should go have a nosy. The fair is *packed* with food stalls, retail stalls, rides, activities, performances and demonstrations. 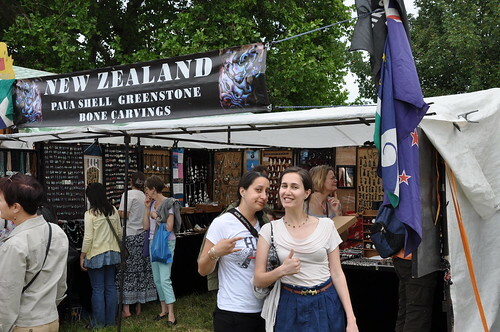 There was even a stall of New Zealand products – pounamu and other taonga. Admittedly though, none of them were high quality. But nice to have the styles represented. 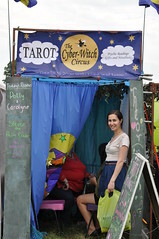 The hippy nature of the event was visible all around with teepees, temporary art displays, psychics and tarot readers. We got right into the swing of things. Mel and I had tarot readings. 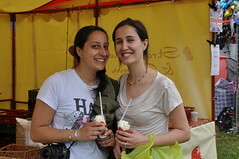 Strangely, though, the highlight of the fair (aside from Mel’s lovely company – so nice to have her visit!) 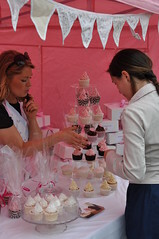 was the bright pink cupcake stall. 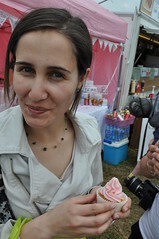 With a selection of beautiful looking cupcakes! While they were very sweet and the cupcake base itself wasn’t the tastiest (Mel did a blog review of the cupcakes, if you’re interested!) 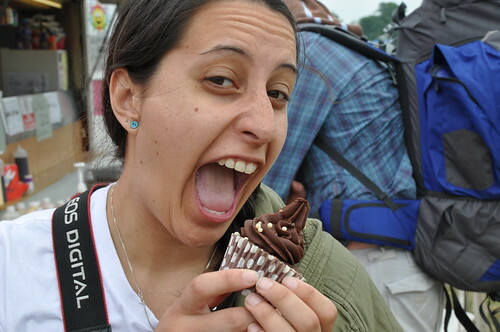 they were a visual joy and sweet deliciousness at the fair. 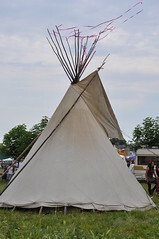 I think we’ll go to the Strawberry Fair next year too. It was a pretty interesting day.